Krishi Vigyan Kendra (KVK) otherwise known as Farm Science Centre or Ka jaka ai jinghikai ia ka rep ka riang bad ri jingri bathymmai is a noble concept developed by Indian Council of Agricultural Research (ICAR) which was rest upon a solid base of transfer of technology from laboratory to farmer’s field with respect to Agriculture, Horticulture, Animal Husbandary, Floriculture, Bee keeping, Mushroom Cultivation, Broiler Farming and allied subjects. Advertisement for Non-Technical Post in KVK West Khasi Hills District. Ki Lad Jingiada ia u phan na ki khniang bad jingpang. Ki buit jingstad ha ka khaii ka pateng. 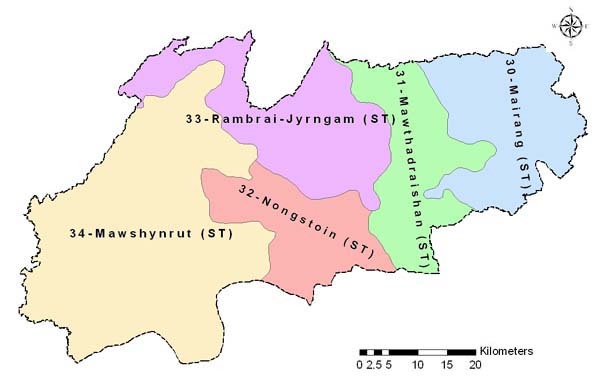 Ka nuksa ban rep jhur por tlang ha Mawkynbat. News & Events on March 2018. Food Grains: Paddy, Maize, Potato, Chow-chow, Carrot, Pea, Ginger. Contents Maintained & Updated: KVK West Khasi Hills District.